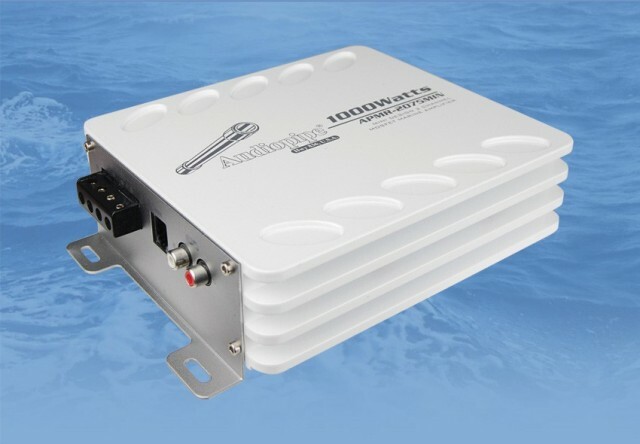 Marine amplifiers will amp up the volume in your boat, motorcycle, spa, or for any of your outdoor applications. In the outdoor environment, it is important that you have enough power to drown out background noises. A marine amp will provide plenty of power for your marine speakers and marine subwoofers. They are built to last in outdoor environments, as marine amplifiers can withstand light rain, moisture and damaging sun rays. Marine amplifiers protect your audio system’s power from moisture and humidity with gasket-sealed covers for the top-mounted controls and endcaps. The marine amps feature rubber caps to cover the RCA inputs, silicone boots to shield the fuses, and their circuit boards have corrosion-deterring conformal coating. We carry marine amplifiers in mono, 2-channel, 4-channel and 5-channel models. Choose a marine amplifier based on the number of speakers you plan on connecting to the amp. For example, if you are going to have four marine speakers in your boat, you will want a 4-channel marine amplifier. There are several different mounting options for your marine amplifier. You can mount your marine amplifier underneath your seats or under the dash for easy access. You could also mount the amplifier on the wakeboard tower by securing it to the tower bars. When considering mounting locations, keep in mind that you want to provide your marine amplifier with adequate ventilation. 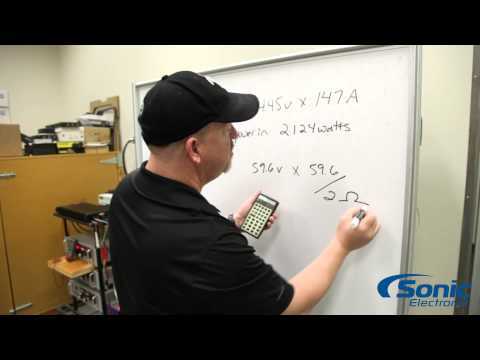 Be sure to pick a mounting location that will not constantly expose the amplifier to water and heat. Even though marine amplifiers are water-resistant, you want to protect them from water as much as possible.